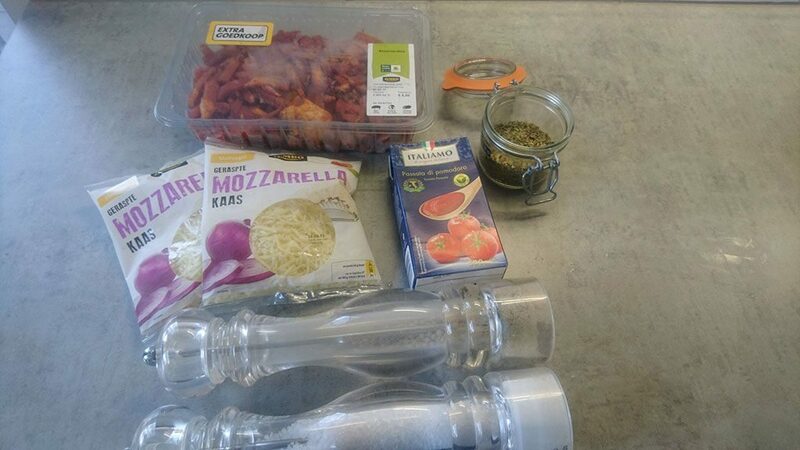 This recipe is enough for 2 pizzas, divide all the ingredients in half for just 1 pizza. garlic sauce, use store-bought or make your own. Start preparing the pizza dough, make enough for 2 pizza crusts. You can also use store-bought crusts if you like. COOK the shawarma in the large skillet without adding any oil or butter. COOK it for a few minutes on medium-high heat. The meat doesn’t need to be fully cooked, it should cook further in the oven. COMBINE a handful of dried oregano with the passata in the bowl and set aside. PRE-HEAT the oven on 220 degrees Celsius or 430 degrees Fahrenheit. DUST your work surface and rolling-pin with flour. ROLL out the pizza dough until you’ve reached a round pizza. TRANSFER the pizza to a baking tray lined with parchment paper and cover with tomato sauce. Don’t cover the edges, you can easily divide the sauce using a spoon. 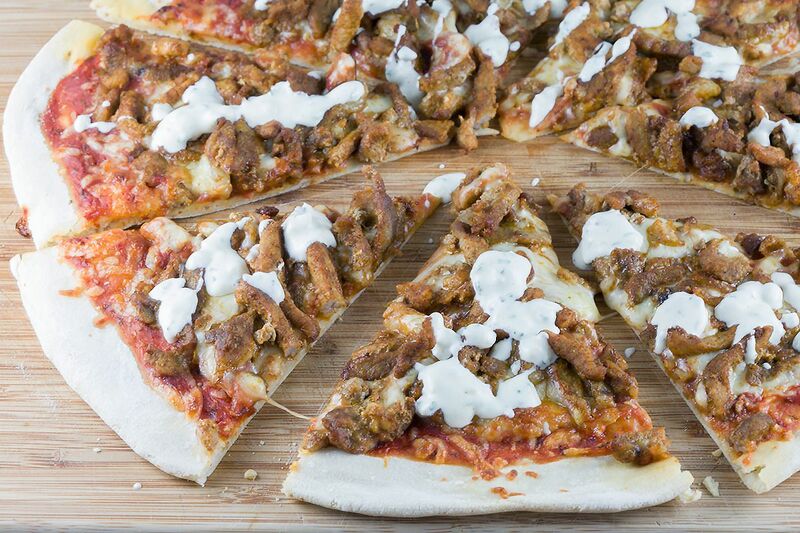 DIVIDE a large amount of grated mozzarella and then half of the shawarma meat on top of the pizza dough. SEASON with some extra pepper and salt on top. REPEAT all the steps for the second pizza. 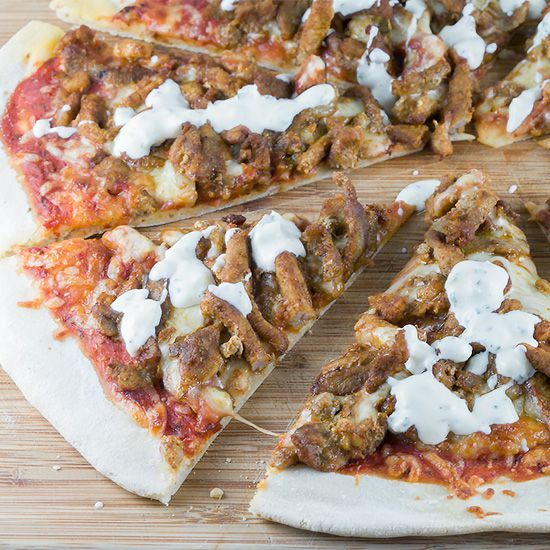 BAKE the pizza shawarma for about 10 minutes, depending on the oven and thickness of the crust. TRANSFER the pizza to a large plate and divide into slices. SERVE immediately with garlic sauce and enjoy!